For the next week or so I'm going to spend some of my free time on wood gusset plate engineering. I'm going to post engineering questions and some quasi-engineering questions regarding the connections. 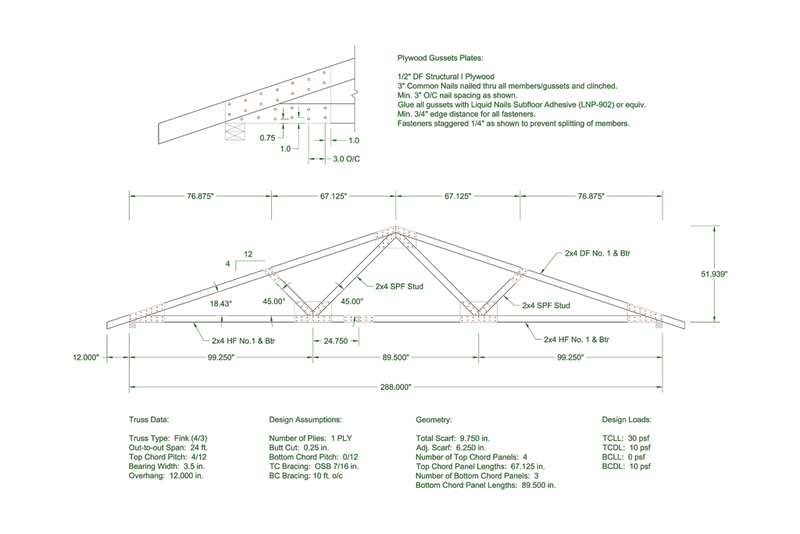 Realize that some of these questions are me thinking out loud, contemplating how best to approach this type of truss design. I'm looking at the nailing of the gussets right now and I'm considering the difference between nails in single shear or double shear. For larger fasteners (ie. 16d nails) it would seem optimal to clinch them on the reverse side and then calculate them in double shear. My question is at what length of fastener exceeding the total thickness can I functionally clinch the nails and consider them in double shear. For argument sake lets assume a 1.5" truss ply thickness and 1/2" gusset plates each side giving a total thickness of 2.5". An 8D common nail is 2.5", however I would not consider it in double shear in this application. If I were to use a 10D thru 16D common nail in this situation I would have at least 1/2" of nail or more to clinch so in those cases I think I could safely assume clinching was possible and nails are loaded in double shear. Would less than 1/2" of nail protrusion be too small to clinch? To open up the calculations to as many options as possible I'm considering 8d, 10d, 12d and 16d nails with all the three possible nail types: common, box, sinker. I also considering 6d and 7d nails but I'm not sure if I will allows those yet. The plywood or OSB thickness will be: 3/8, 7/16, 15/32, 19/32, 23/32. Giving this even more thought it would seem that certain gusset thicknesses and nail combinations would not be optimal if the possibility for clinching and double shear is not possible. For instance if I have 23/32" gusset plates on both sides and 1.5" truss ply for a total thickness of 3". 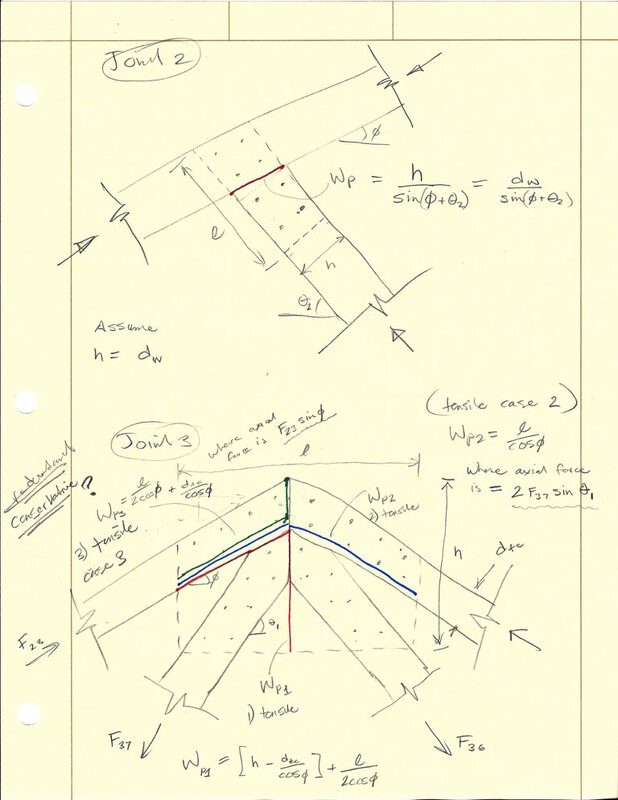 If I were to use a common 10D nail or 12D nail I probably could not clinch and therefore double shear is not possible, hence I would have to nail the truss from both front and back. Would this not tend to cause the main member to have more tendency to split since there are double the nails in it. It would also require roughly double the nails. I'm also going to assume that the osb/ plywood is Structural I, this would be my recommendation anyways in an effort to eliminate defects and require a stronger material for the gusset plates. This affects both the shear values of the gusset plates and the lateral loading capacity of the nails. Same amount of nails in each test specimen. The tighter nail spacing allows for 66.6% the gusset length versus the 2 row configuration. Any one want to venture a guess which one is stronger and by how much? I just need to figure out a test rig and then load these two up and see what happens. For a DF main member and OSB (7/16) I get 173.7 lbs per fastener (double shear) or a total of 1,389.6 lbs for eight 10d fasteners. 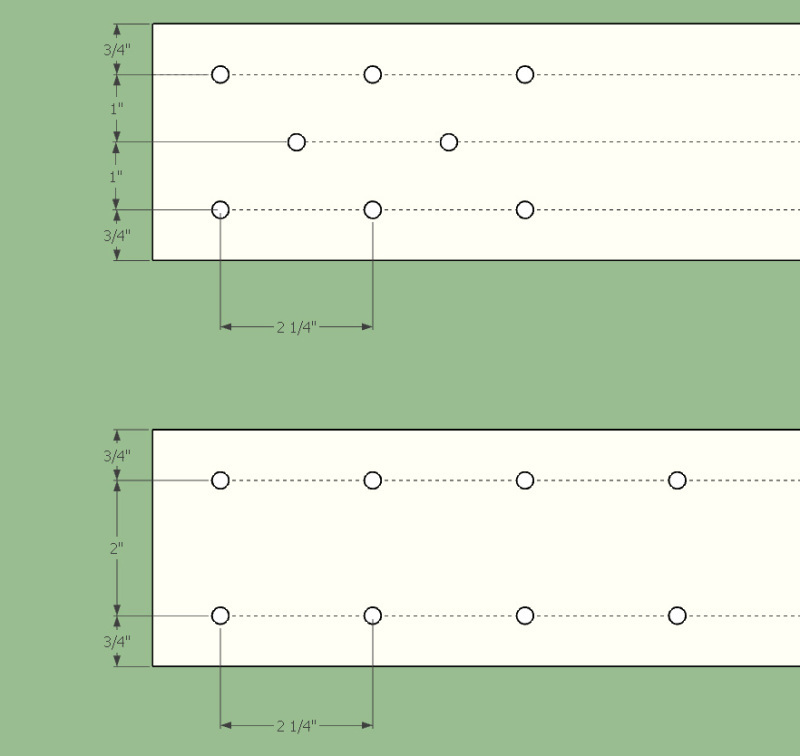 I'm wondering how much the connection will stretch at this design load (loaded in pure tension, parallel to grain of main member) and at what load will it fail, then compare the results from both configurations. 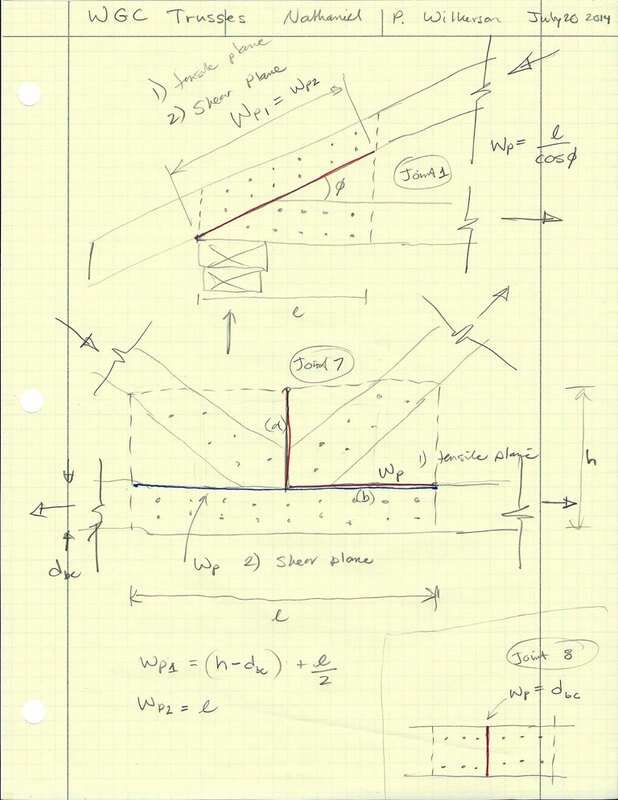 I am trying to use the WGC option in the online truss designer for a basic 24' Fink, but the output always goes to a metal connector by Mitek. Am I missing something? The WGC option is still not fully implemented, so it is defaulting to the metal plates. To be perfectly honest I've been trying to figure out how to implement this feature but also protect myself from liability issues especially in the case of poorly constructed trusses or workmanship. Unlike a factory built truss with tight quality control a site built truss is a lot more variable.